Photo from our Carbine Course. Our February class calendar will post soon! Simple, be armed and get trained. I think I know what is going to happen here but it made me LOL. Favorite gun of your current collection and GO! this guy is already "trained"
I feel like, maybe this dog took the ERT CQC class. ERT sub-gun class, this was a blast! Fullauto 9mm’s! No ear protection needed! Winchester 22lr for me. HBU? Well that makes it easy! Great "trainers" out there. Choose yours wisely. Carbine course was a BLAST!! Great shooters!! Great day of pistol training! Lets see em’ Whats your carry gun? Pistol classes will post soon for early May! ERT Pistol Course last week. Pm Us to get yours! Know your instructor!! also Happy Turkey day! I would pick from the ERT Student roster! and maybe some more ammo, for reasons. Whats in your bug out bag? December shotgun class!!! To get signed up PM me, this one will fill fast! Saturday’s Pistol Course Great students putting the hurting on my steel TGTs!!! Pvt Pistol Course Great students putting the hurting on my steel TGTs!!! Great day of training! This is a well trained family with a plan! Let’s say "a gun in the hand with proper training"
Left or Right? Old classic or New? ERT student spotlight, Sean. Classes attended; ERT Carbine, ERT Pistol. hmm.. another MP5? How About You? ERT’s student spotlight, Chad Wahlgren! Todays ERT Student spotlight, Sara Young! Classes attended ERT Pistol Course. Student Spotlight, Doug Landers. Classes attended; CC1 and Pistol. Student Spotlight, Zach Dorworth! ERT Courses attended, ERT Pistol Course. ERTactical pistol course, they killed it on Sunday! Great carbine course today, outstanding shooters! Sunday’s Carbine Course, Killed some steel! Monday’s carbine course, great shooters! I love getting this question, "Did you guys carry alot of gear over there?" Share this if you know what I am talking about. Great weekend of training! Outstanding shooters had a great time teaching them. Great day of training with solid shooters! hahhaha!! I feel ya bro! Great shoot with Border Patrol yesterday, Vid is on the way! What do you think, AK47 or AK74? Emergency Response Tactical Student of the week is Damian. Great day at the range, today was the Advanced Carbine Course!! what do you think, P90 or Mp7? Carbine and Advanced Caribe Course this weekend. Any last min sign ups? Great day at the range with outstanding shooters! Vid will post soon. You can’t keep me down! or out of the fight!! ERT student of the week this week is Markus. ERT’s Student of the week is Nate! Emergency Response Tactical Student of the week! 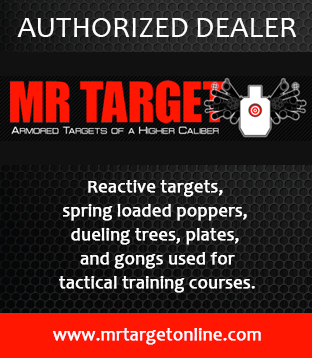 gearing up for the Long range shooting course it will go FEB 22 sign up now! Long range shooting course will go FEB 22 sign up now!